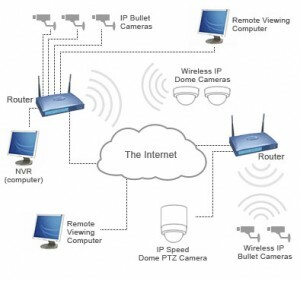 IP CCTV is often referred to as IP surveillance and is a network of security cameras linked by a single network. This allows the user to view all areas of their commercial or residential property; whilst retaining network security. Not only can you view the different areas of the property on site, you will also be able to view them on an internet connection where you can stream live or view pre-recorded footage. Login details are a necessity with this technology as they allow your online system to remain secure. Only approved personnel will be able to access the online system, but once they do have access they will be free to use the IP CCTV system globally, providing that they have an internet connection. There are many companies who offer this security camera system, such as cable-talk.co.uk most of which will be able to offer different security levels depending on how secure you want your IP CCTV network to be. 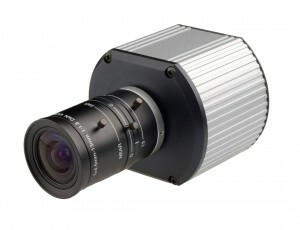 IP CCTV is also easily adapted for use with existing security cameras, meaning that it is simple to install. As a result, many businesses are choosing to move to IP CCTV systems as it enables business owners and security managers to view their premise from a number of different locations, rather than having to be onsite to monitor security. A plus point to IP CCTV is that it will run alongside other connections without any disturbance. The system can also be linked wirelessly to networks. LAN traffic can also be communicated if the sockets are on the same meter. Other advantages to the system are that it can save huge amounts of time. For instance searching for particular images or a video segment is easier, as with IP CCTV you will gain more control of the footage. Network cabling is an essential part of the system and once fitted will enable you to monitor the security of your property seamlessly. This entry was posted on Monday, March 12th, 2012 at 08:00	and is filed under IP cameras, IP CCTV. You can follow any responses to this entry through the RSS 2.0 feed. Both comments and pings are currently closed.